Woman charged with murder after toddler's body found in park. Maggie Kent reports during Action News at 5pm on October 18, 2018. PHILADELPHIA -- A woman has been charged with murder in the death of a toddler whose body was found buried in a Philadelphia park earlier this week. 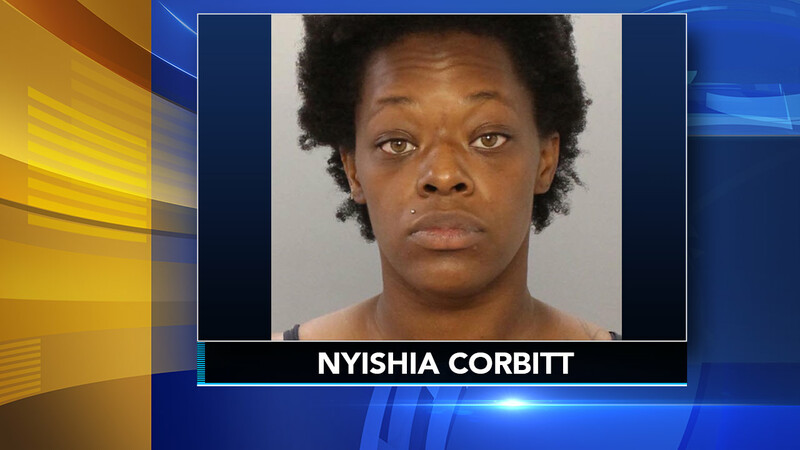 33-year-old Nyishia Corbitt, who had been staying at a relative's apartment in the 5600 block of Ogontz Avenue, has been charged with Murder, Abuse of a Corpse and other offenses. The child, 1-year-old Alina Barnes, died from suffocation a week before her body was found, police said. Detectives have not disclosed the circumstances of the child's death. When asked why Corbitt allegedly suffocated the child, Philadelphia Police Capt. John Ryan said, "We're not going to discuss what Ms. Corbitt told us." Ryan described Corbitt as "very distraught." Philadelphia police Capt. John Ryan holds a news conference on October 18, 2018 on the murder of a 1-year-old girl. Corbitt had been caring for the child for several weeks, police say. She has two young children with Barnes' father, though she is not Barnes' mother. The child's mother is in Montgomery County prison on retail theft charges. Barnes' father was not present during the week the child was missing, police say. Body of 2-year-old girl found partially buried in park, caregiver questioned. Bob Brooks reports during Action News at 4pm on October 16, 2018. According to police, surveillance video from Tuesday, October 9 showed Corbitt leaving the apartment complex in the 5600 block of Ogontz with Barnes in a child carrier. Police believe the child was already dead at that time. Corbitt took the child to the park then returned to the apartment complex, police say. Corbitt allegedly told her mother the child was missing the following Monday, October 15. Her mother "did the right thing," investigators say, and called police. During the investigation, police say Corbitt led investigators to Kemble Park on Ogontz and West Olney avenues. The body was discovered buried in a shallow grave in a wooded area and was recovered later that morning. No one else has been charged in this case, according to Ryan, but he said more charges are possible. Corbitt's children are staying with other family members. Ryan said he could not say whether Barnes had any other signs of abuse. He said the state Department of Human Services was involved in the case, but said he could not provide details. Ryan said Corbitt had seven other previous "contacts with police" but he could not say what she had previously been charged with. He said none of the charges were for violent crimes.